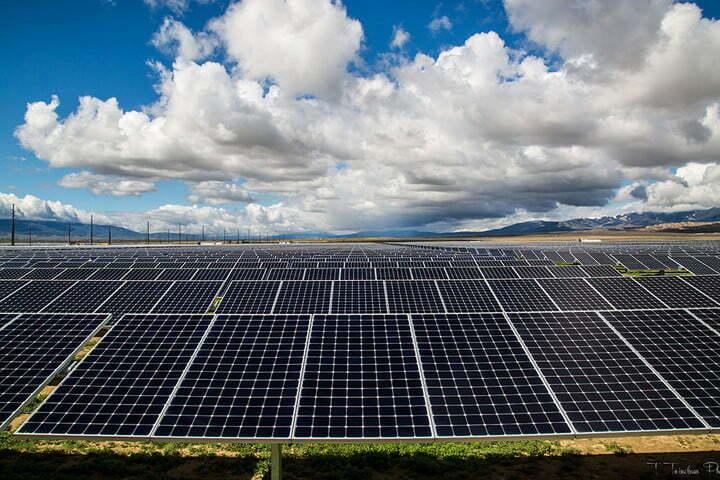 Photovoltaic solar energy is the fastest-growing energy source in the world. Currently China, India, and the US produce the majority of the global solar power, with the Middle East coming on strong. 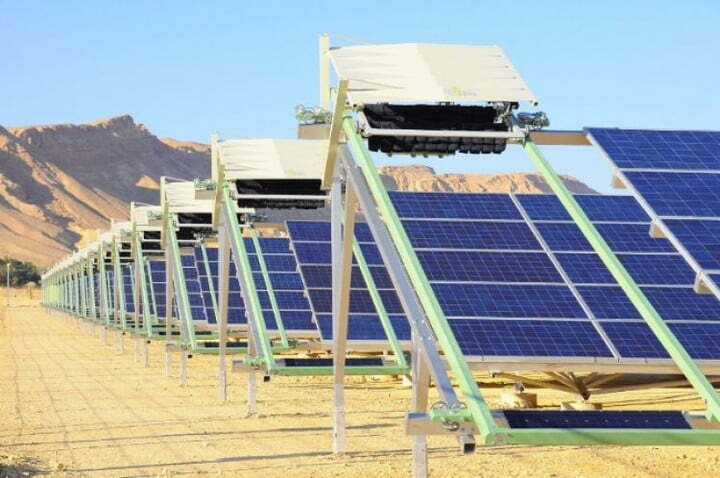 Growth is booming — especially in the deserts of Asia and the Middle East, where huge solar farms are in the process of being built and expanded. To give you a taste of just how rapidly the adoption of solar power is expanding, we’ve profiled five of the largest solar plants currently in operation. Enjoy! 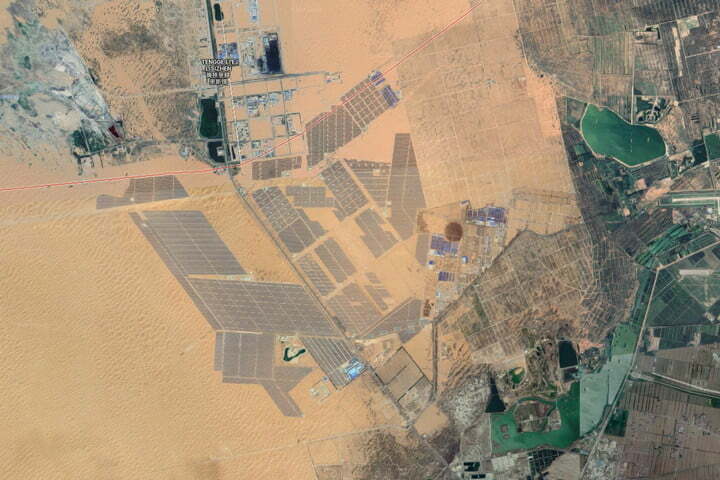 Known as the “Great Wall” of solar power, the Tengger Desert Solar Park is the largest solar farm currently in existence. 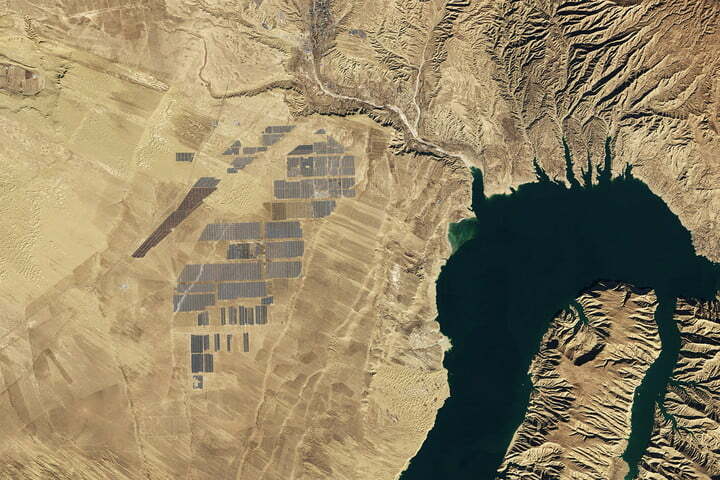 Located in China’s Tengger Desert, the solar field occupies only 3.25 percent of the arid land in the region. That might not sound that big, but it’s actually more than 10 times larger than New York’s Central Park, and is capable of producing 1.5 Gigawatts of power, rivaling the power capacity of most nuclear power plants. With plenty of room to expand, we expect Tengger to be a top solar power producer for years to come. 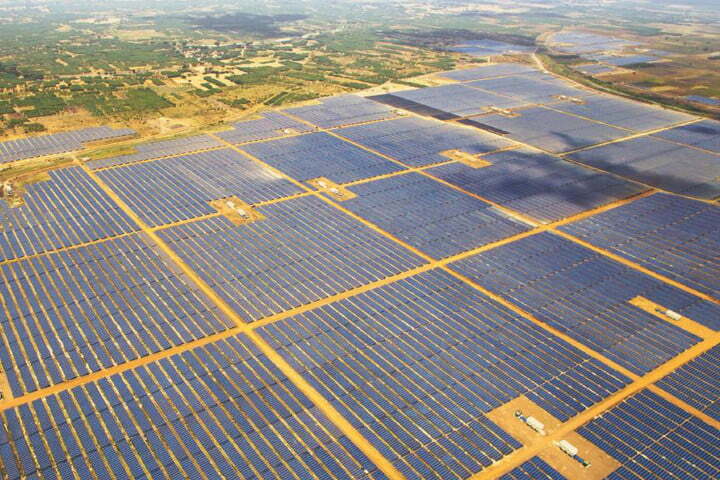 The Bhadla Solar Park currently produces 1,365 MW, but that is about to change. The facility is expanding rapidly, and has plans to produce an additional 880 megawatts by March of 2019. Once it reaches full capacity next year, Bhadla will claim the title as the largest solar facility in the world and will help India come closer to its goal of obtaining 17% of its energy from solar power. Longyangxia Dam Solar Park was completed in 2015 and is integrated with the facility’s 1,280MW Longyangxia hydroelectric dam. Together the two power sources complement each other. Solar power helps to conserve water usage by the dam, while the hydroelectric dam balances out the variable energy production from solar cells. The Villanueva solar power facility has been growing steadily with the commissioning of the 427 MW Villanueva 1 park and the 327 MW Villanueva 3 park in early 2018. Enel Green Power Mexico, which oversees the plants, continues to add capacity in small chunks, with a goal of reaching 1,700 GWh per year once the facility is fully operational. This facility is part of Mexico’s commitment to supply 35 percent of its electricity from clean sources by 2024. 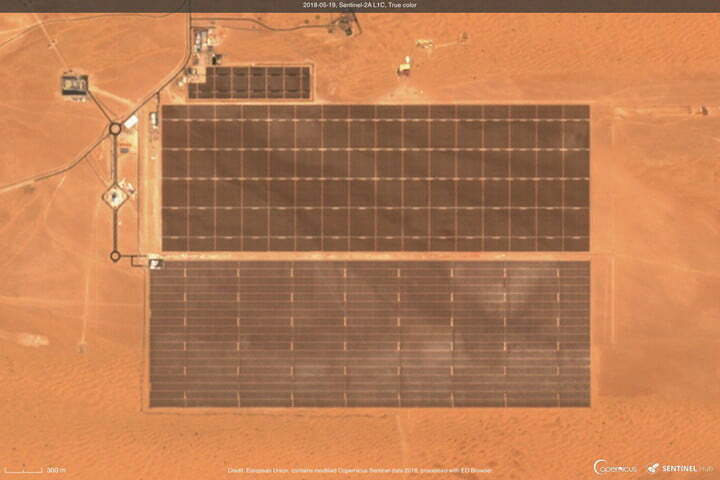 As of the writing of this post, the Kamuthi Solar Power Station is the sixth largest solar farm in the world. Built in a mere eight months, the plant went online in September 2016. The 2.5 million solar panels at the facility produce enough power for 750,000 people. One cool fact: the facility is cleaned daily by a fleet of robots who are charged by the solar panels they service. One of the older plants on our list, construction began on the Solar Star power plant in 2013 and was completed in 2015. The facility includes 1.7 million solar panels that can supply electricity to power the equivalent of approximately 255,000 homes. Solar Star hails from California, which leads the US with almost 23GW in solar energy and accounts for nearly 17 percent of California’s electricity supply. 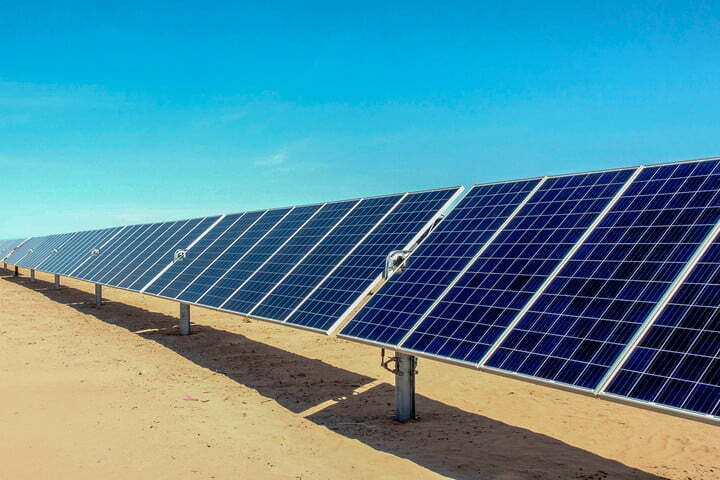 The 213MW Mohammed bin Rashid Al Maktoum Solar Park may pale in comparison to other facilities, but it has big plans for the future. The solar park has planned improvements that are expected to generate 1,000 MW by 2020 and an incredible 5,000 MW by 2030. Not only will it be the largest solar park in the world, but it also will have the world’s tallest solar energy tower. The 260-meter tower is part of phase four of development and will contribute 700MW to the plant’s total output.